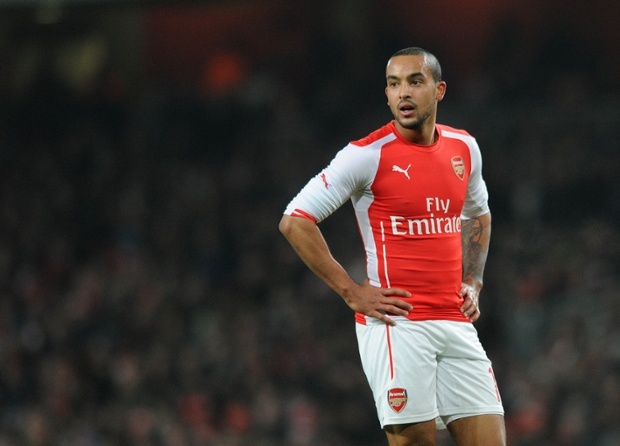 Theo Walcott refused to commit his future to Arsenal, despite scoring for the club in their FA Cup final victory. Walcott, who only has a year left on his Gunners contract, was asked about his future on the club's trophy parade following their victory over Aston Villa. But the England striker, who has scored four goals in his last two games playing as a central striker, was cautious about negotiations, insisting that it would 'take time' to reach a deal. However, Walcott did express a belief that this Arsenal squad can go on to win more silverware after their second consecutive FA Cup success.